Home Features How Stock Illustrations Can Help Make A Website More Attractive To Visitors? Building a website is the first step you take towards an online presence, and from here on, it becomes a job to keep the visitors engaged. The content is the most important feature that will hook your visitors, but there are other factors like the intuitiveness of the interface and more importantly, the overall design of your website that contributes towards its success. For these latter reasons, it is important that you theme your website appropriately. One way to do that is with stock illustrations. Let’s say you have your mainframe in mind, and want to move towards adding the actual graphics now. The first thing that you can do is select the color combinations you want your design to have. You can then apply those colours to your accents and menus, and go ahead with inserting the appropriate images. Now for these images, there are more than a few stock photo websites available out there, but there’s one called DepositPhotos that we’d really like you to try out. It’s a complete stock image platform blessed with a wide-ranging library of high-quality stock images, vectors, videos and graphics. Its library amasses over 60 million photos and 18 million vectors at the moment. All the images you grab from this website are royalty free and can be used for commercial purposes as well. This means, once you pay for and download an image, you can use it wherever and whenever you want, without the consent of the original creator. 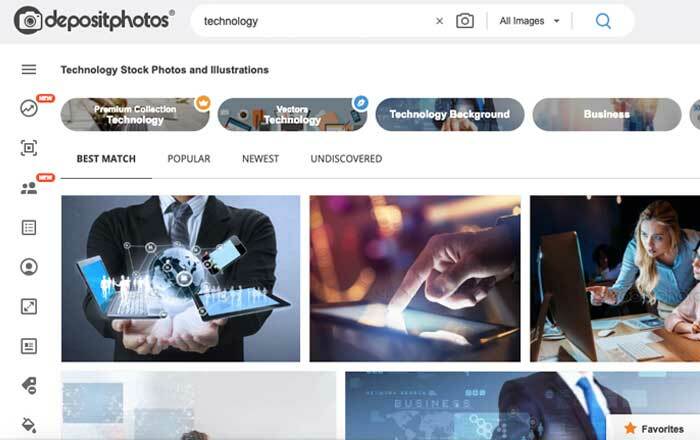 The folks over at DepositPhotos work with photographers and illustrators to get their content onboard in exchange of payments that are generated when their works are purchased. 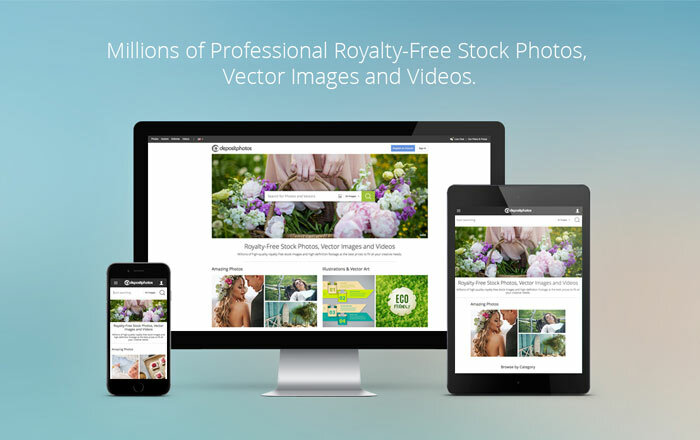 There are thousands of royalty free images that are being added to this website daily. And it’s incredibly easy to find the image you’re looking for. Once you enter the keyword and hit the search button, the results are displayed in four categories. The first one is ‘Best Match,’ and shows the most relevant images to the keyword. The second category is ‘Popular,’ and displays the most well-liked images relating to the keyword. The third one is ‘Newest,’ and it of course shows the latest images to have been uploaded. The final category is ‘Undiscovered,’ which tries to provide those images that haven’t been downloaded by others. But that’s not why DeposiPhotos is unique. Its distinctiveness lies in the flexibility of its payment plans. And these are very cheap compared to other competing services. First, there are the subscription plans. 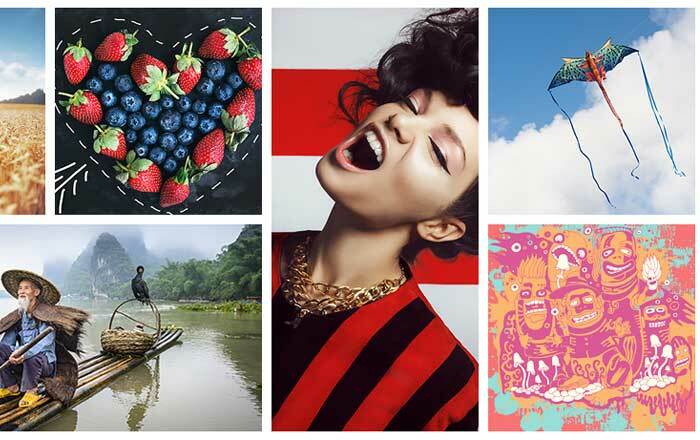 A one-month subscription allows you to download 75 images for $69. There are also one-month plans for downloading 150 and 750 images, that can be purchased at $99 and $199, respectively. Now, if you’re comfortable with any of these plans, and wish to continue using them on a yearly basis, a one-time payment for 12 months, will snag you a 20 percent discount on the overall amount. 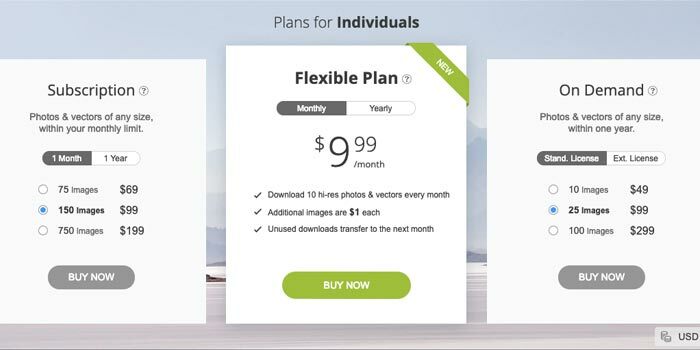 DepositPhotos also has flexible plans. These are most effective when you don’t need very many stock photos every month. The flexible subscription costs $9.99 a month and $99.99 a year. Under this subscription, you can download 10 high-resolution photos or vectors every month, and if you go beyond that threshold, you can just pay $1 for every next image. Conversely, if you don’t download 10 images in a particular month, the unused downloads get transferred into the next month. Lastly, there are on-demand plans for when you wish to purchase images in bulk by making a one-time payment. 10 images can be grabbed at $49, 25 at $99 and a 100 at $299. This payment is only applicable for a year, so you will need to exhaust all your downloads within that span. Also, these prices apply to images with the Standard License. Those with Extended Licenses are a lot more expensive. Buying a single image with an Extended License will cost you $89. A pack of five images will come at $349, whereas a pack of 25 images will cost $1599. So, with a website like DepositPhotos, you can really go to town with designing your website. You can decide upon a theme and download all the relevant images you need around it. If there are very few to download you can opt for the on-demand plan. But if you’ll be needing images regularly, you can go for the flexible plans or the regular subscription plans. Either way, you’ll be getting to choose from a massive variety of original images that can be used for any of your website building needs.